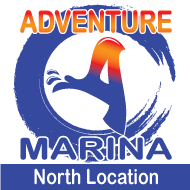 Adventure Boat Rentals has three Lake of the Ozarks locations for your convenience - find us by road and by water! Sunset Beach Resort is located at the 17.5 mile marker and in the same cove as Back Water Jacks! Need a place to stay while on your vacation?